Join your host Pastor Mike Lewis & Cathedral of Praise for 11 Days of Biblical Discovery! Prices start at $3,498* from Charleston, SC on January 26, 2020. Depart Charleston on your evening trans-Atlantic flight to Tel Aviv. Dinner and breakfast will be served en route. Arrive this afternoon at Ben Gurion International Airport in Tel Aviv. Transfer to Jerusalem for dinner and overnight. This morning, visit Visit Yad Vashem, the national holocaust memorial and museum. After lunch, journey to Bethlehem to visit the Church of the Nativity and explore the cave revered as the place where Jesus was born. Gaze out over Shepherds’ Field before returning to Jerusalem for dinner and overnight. This morning pray in the Garden of Gethsemane and envision the scenes of the night before Jesus’ crucifixion. Then journey to the Mt. of Olives, where Jesus ascended into heaven (Acts 1:9- 12). Continue to Mount Zion to visit the House of the High Priest Caiaphas, where Jesus was questioned the night of His betrayal (Matthew 26:57). Meditate on the events of the Last Supper as you visit the traditional location of the Upper Room (Mark 14:12). This afternoon, journey through the Valley of Elah, where David defeated Goliath (I Samuel 17). This morning visit the Israel Museum, where you’ll see the First Century Model of the City of Jerusalem. Also visit the Shrine of the Book, where the Book of Isaiah, discovered among the Dead Sea Scrolls, is displayed. Continue to the Southern Steps of the Herodian Temple where you can walk where Christ walked. 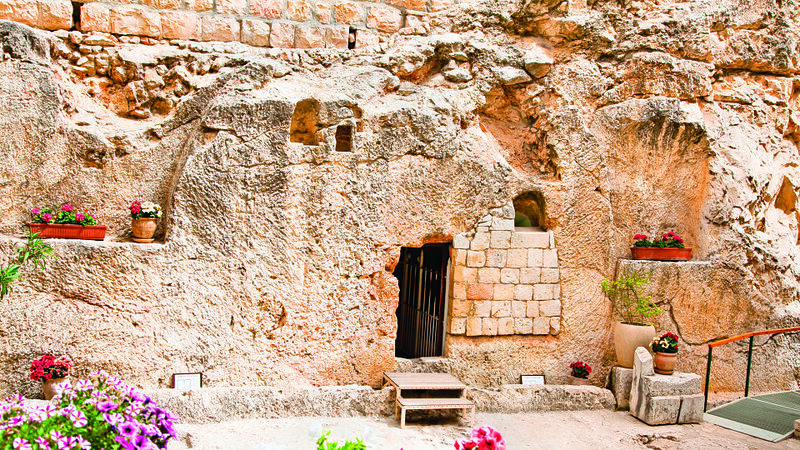 Visit the Western (Wailing) Wall and visit the Western Wall Tunnel Excavations. Outside of the modern city walls, visit the City of David and journey through time to see the Gihon Spring, Hezekiah’s Tunnel, and the Pool of Siloam. Return to the Old City and visit the Davidson Center where you can see the Temple and its rituals recreated via exhibits and a movie. This morning see the Temple Mount (conditions permitting), once the site of the Temple of Solomon. Continue your journey to view the Pool of Bethesda, where Jesus performed the Sabbath miracle (John 5:1-31). Sing a hymn in the Church of St. Anne and experience its rich acoustics. Visit Herod’s Antonia Fortress, where Jesus appeared before Pontius Pilate (Luke 23:1), and follow in Christ’s steps on the Via Dolorosa (“the Way of the Cross”). Enjoy free time in the afternoon to explore the Old City or visit David’s Tower in the Jewish Quarter. End the day experiencing a communion service at the Garden Tomb. This morning see the Temple Mount (conditions permitting), once the site of the Temple of Solomon. Continue your journey to view the Pool of Bethesda, where Jesus performed the Sabbath miracle (John 5:1-31). Sing a hymn in the Church of St. Anne and experience its rich acoustics. Visit Herod’s Antonia Fortress, where Jesus appeared before Pontius Pilate (Luke 23:1), and follow in Christ’s steps on the Via Dolorosa (“the Way of the Cross”). Enjoy free time in the afternoon to explore the Old City or visit David’s Tower in the Jewish Quarter. End the day experiencing a communion service at the Garden Tomb. After packing up, travel southward via Wadi Kelt to the Jordan Valley, where you will briefly visit Qumran, the Essene community where the Dead Sea Scrolls were found. After lunch visit Ein Gedi ,where David sought refuge from Saul. Enjoy time to explore the Ein Gedi Nature Reserve. This evening, enjoy time to float in the Dead Sea and rest at your nearby hotel. 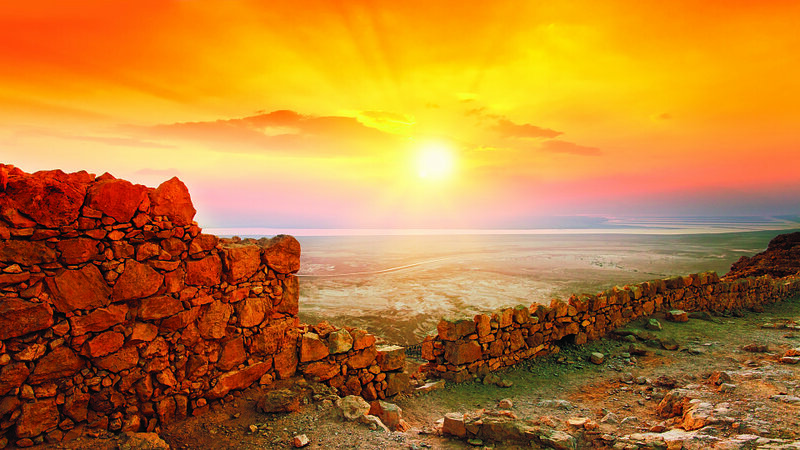 Ride a cable car to Masada, where the Jewish zealots heroically made their last stand against the mighty Roman army. After your descent, travel north up the Jordan Valley to Beit Shean, a well excavated city of the Decapolis, which has been occupied for 5,000 years. Journey to Nazareth, where Christ grew up, and to Cana, the site of His first miracle. Finally, enjoy the breathtaking view from the Golan Heights. Enjoy dinner and overnight at your hotel in Tiberias. 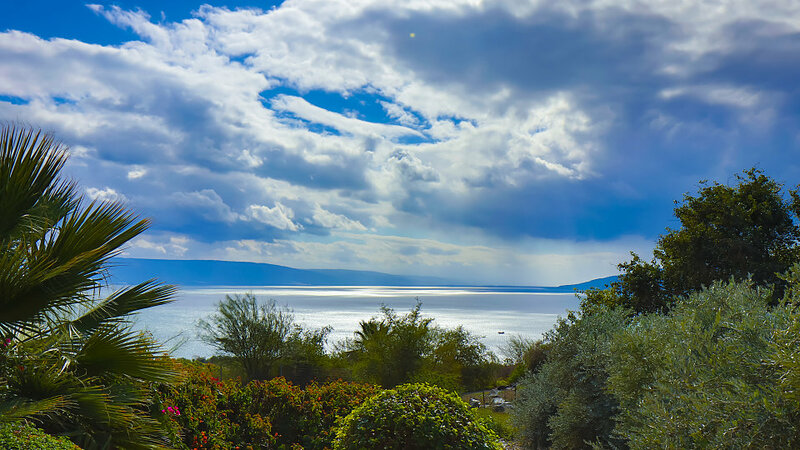 Begin the day with a special cruise and worship service on the Sea of Galilee. Next, see the preserved ancient fishing boat from the time of Christ. Continue to Capernaum, the center of Christ’s Galilean ministry. Continue to Tabgha, where the Miracle of the Feeding of the 5,000 is commemorated. Visit the Mt. of Beatitudes, where the Sermon on the Mount took place. Conclude your day with a special baptismal service in the Jordan River. Return to your hotel in Tiberias for overnight. Today visit Caesarea Philippi, where Peter proclaimed, “You are the Christ” (Matthew 16). Journey through the Jezreel Valley to Megiddo, site of Armageddon, where you will explore the ancient city. Travel to Mt. Carmel, where Elijah defeated the prophets of Baal and see a panorama of the modern city of Haifa. Travel down the coast to Caesarea, Herod’s port city, and see the ancient amphitheatre and aqueduct system. Visit the Old City of Joppa. Tonight, enjoy a special meal in the Holy Land before your late evening flight back to the USA. Arrive in the USA filled with memories from your visit to the Holy Land.